Central Florida cinephiles get ready…the Florida Film Festival returns for it’s 27th year from April 6th through 15th, 2018. In addition to the wonderful program of films, the 2015 Florida Film Festival will include several food-centric events during its run. On Saturday, April 11, from 11am to 12:30pm, the FFF will host a Locally Fresh! event featuring samples and live cooking demonstrations of local eats, along with a sneak peek into the world of farming. Featured participants include Lake Meadow Natural Farms, Palmetto Creek Farms, Olde Hearth Bread Co., and East End Market. Tickets are $12, and the event takes place at Enzian. 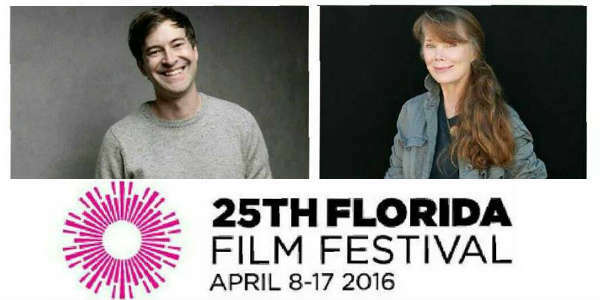 One of the special events to be held during the 2015 edition of the Florida Film Festival is An Evening with Sam Rockwell on Friday, April 17. The event will include a showing of Rockwell’s film, “Moon,” which is one of the most acclaimed science-fiction films, and winner of 22 international film awards. 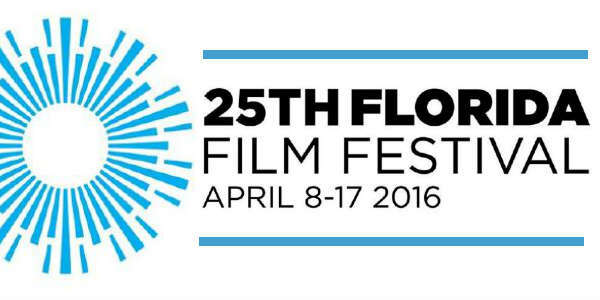 This week Enzian announced the program lineup for the 24th Annual Florida Film Festival, which runs April 10 through 19, 2015. The Florida Film Festival will screen more than 176 feature and short films representing 30 countries, along with celebrity guest appearances, forums, and parties. Of the films selected, 150 have premiere status, including 21 world premieres. The 2013 Florida Film Festival is in full swing, but there are still plenty of films, documentaries, and shorts to check out before the fest closes on April 14. Todd Looby’s autobiographically-inspired tale is an evocative portrait of the pressures and rewards of modern parenthood. Amy Seimetz, one of Indiewire’s “Top 25 actors of 2011,” plays a mom who returns to work, leaving her struggling filmmaker hubby (Thomas Madden of Looby’s last film Lefty) in charge of their adorable baby while he tries to bang out a screenplay. The film speaks intimately about fatherhood, dreams put on hold, the bond of mother to child, and the ever-shifting parameters for child rearing. Running 97 minutes, this collection of British short films features the talents of Dame Judi Dench and Michael Fassbender, among others. Tales range from using social media to date to a day in the life of a Northern London pub to a son who tries to deal with the death of his mother only to discover she’s spending her “afterlife” in London. Skunk (newcomer Eloise Laurence) is an eleven year-old diabetic girl who lives with her lawyer-father Archie (Tim Roth) and her older brother Jed. Though their family has been broken apart by divorce, they lead a regular life and share a residence in what seems like a normal British suburb. She hangs out with her brother and au pair Kasia, whose boyfriend Mike (Cillian Murphy), Skunk has a crush on. 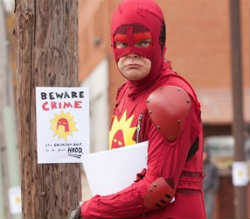 But when she witnesses one of her neighbors, a mentally disturbed young man named Rick, get beaten up for something he didn’t do by bitter and angry older neighbor Mr. Oswald (Rory Kinnear), things begin to change. Jillian (Jess Weixler), a hung over, acerbic law school drop-out who is holding out for the return of her boyfriend, has been roped into dispensing free samples of ice cream from her friend’s food truck. She has not had her morning coffee, wishes she were dead, and manages to alienate nearly everyone in a day that will finally bring her to terms with herself and her life. Supporting cast includes Jesse Eisenberg and Jason Ritter. Mads Mikkelsen, winner of the Best Actor prize at the 2012 Cannes Film Festival, stars as Lucas, a school teacher in a small, close knit Scandinavian town. He limps through an ugly custody battle over his son, only to have the promise of that situation’s resolution ruined by the accusation of his being a child molester. The investigation that follows is nothing compared to the nightmare Lucas finds himself plunged into by the social leprosy of his suspected pedophilia. This week, the annual Florida Film Festival starts in Orlando, and it has quite a line-up this year. Running from April 5 – 14, 2013, the FFF takes place mostly at the Enzian theater in Maitland, with some films showing at the Regal Winter Park. Highlights of this year’s fest will be several celebrity-attended screenings. On Friday, April 12, spend An Evening with actress Tippi Hendren, as the FFF shows the classic Hitchcock film The Birds, in which she starred. On Saturday, April 13, the FFF will host An Afternoon with Zoe Bell, with a screening of her Quentin Tarantino-directed film, Death Proof. Bell is well-respected actress and stuntwoman, so this should be a fun event. Tickets are still available for only $20. The FFF wraps up with A Brunch with Cary Elwes, featuring a screening of his classic film, The Princess Bride. As you wish, indeed. And of course, there are the films – nine days worth of indie films, documentaries, and cult classics. There are several music documentary films worth checking out, including AKA Doc Pomus, Bad Brains: A Band in DC, and Big Star: Nothing Can Hurt Me. Midnight Movies is another popular category at the Florida Film Festival. This is where you’ll find the controversial movies, raunchy comedies, and not-for-the-squeamish horror flicks. This year, highlights of Midnight Movies includes the cult biography, I Am Divine, and V/H/S/2, a sequel to the highly-rated horror anthology V/H/S. You can view the full list of films playing the festival online. Tickets to most movies range from $9-$11, but you can buy ticket packages that will save you money. A 5-pack is $50, a 10-pack is $95, and a 20-pack is $180. Matinee passes provide unlimited movies before 5pm for $99, and a Cinephile pass provides admission to all films, plus the Opening Night film, for $450. There are also Platinum passes for $750, and Movie Star passes for $1000, both of which include film admissions, as well as parties and other benefits. 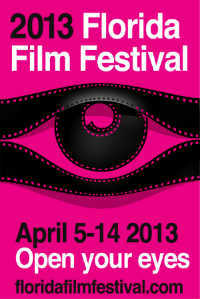 For more information, or to purchase tickets and passes, visit FloridaFilmFestival.com. Just got word this afternoon that the Florida Film Festival, running April 8 through 17, here in Orlando, has added a last-minute celebrity guest to its line-up. Actor and OSCAR®-nominee Edward James Olmos will be appearing at the Enzian on April 15 for a special showing of his classic film Stand and Deliver. 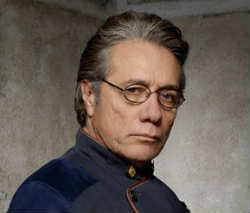 “An Evening with Edward James Olmos” will start at 7:30pm with a showing of the film, followed by a Q&A with the actor. Stand and Deliver was one of the most highly regarded independent films of 1988 and swept the Independent Spirit Awards with six wins. It also received several other award nods, including an Oscar® (for Olmos), two Golden Globes®, and the 1988 Sundance Grand Jury Prize. Olmos first gained worldwide attention as a regular on the 80s TV series Miami Vice, and was most recently appeared on the TV reboot of the Battlestar Galactica series. “An Evening with Edward James Olmos” tickets are only $20, and the event is also included in the Platinum Passes. Purchase tickets online at the Florida Film Festival website. 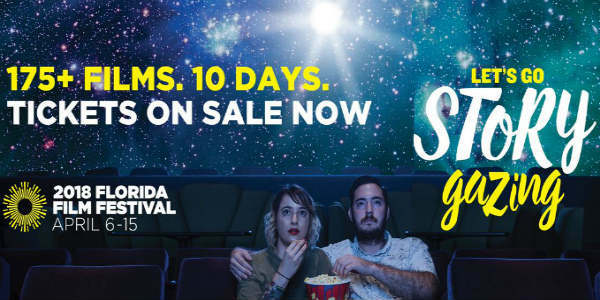 Orlando has a lot of festivals dedicated to the arts, but one of my favorites is the annual Florida Film Festival, which runs from April 8 to 17 this year. Produced by Enzian, one of the best places to catch a movie in Orlando, this fest is a perfect blend of indie and lesser-known films, food and parties. 2011 is the 20th anniversary of the Florida Film Festival, and as such, it will celebrate all things Florida, from film to food. Among the highlights of the festival are the Opening Night Film and Party, which takes place on April 8. Tickets for this event are $20 to see the film only, $80 to only attend the party, and $100 for both the film and party. The party will feature food from several area restaurants, including Enzian/Eden Bar, the Ravenous Pig, 4 Rivers Smokehouse and more. There are two celebrity events to attend. The first is “Victor in Paradise: An Afternoon with Victor Nunez, featuring Ruby in Paradise.” Following a screening of the film on April 16 at the Enzian, director Victor Nunez will do a Q&A with the audience. Tickets are only $10. The second is “An Evening with Alan Arkin,” also at the Enzian on April 16. This event will begin with a special 45th anniversary screening of the classic Cold-War comedy “The Russians are Coming! The Russians are Coming!” – a film that earned Arkin his first Oscar® nomination in 1966. Following the film, the actor will do a Q&A with the audience. Tickets for this are only $30, but this may be postponed due to Arkin’s health following a recent car accident. There are several food and film events worth noting, too. Enjoy a night of Italian cinema on April 11, along with an intermission of food provided by Olive Garden. Tickets are $10 for each film (La Pivellina and Amarcord), but the tasting reception is free. The “Peroni & Popcorn: Hitchcock Happy Hour,” happening April 13 at the Enzian/Eden Bar, sounds like fun. It features gourmet popcorn paired with select brews while classic Hitchcock films play on a large outdoor screen. The films are free; the popcorn/drinks are available for purchase. Individual tickets to most films are $10, or you can buy them in groups of 4 for $40, 8 for $75 or 16 for $140, all of which include an official program voucher. For film fanatics, there is also the Platinum Pass, which at $650, includes priority seating, party invitations and a swag bag, among other benefits. 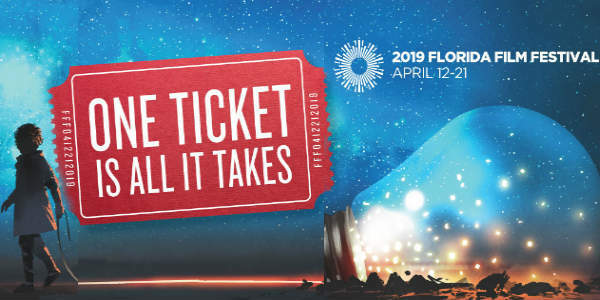 All tickets and the platinum pass are available for purchase online at the Florida Film Festival website or in person at the Enzian box office.